We like feedback and don’t mind answering a question or two. 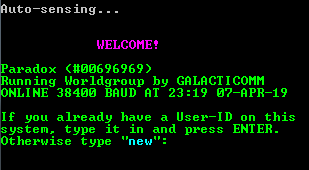 However, we encourage you to visit The BBS Corner for information on how to set up your own Telnet BBS. If your question can’t be answered there, feel free to drop us a line.